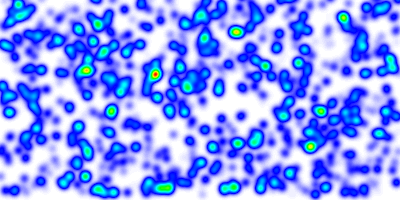 A heatmap is a popular method for representing sparse data on a regular raster grid, where each pixel on the grid is influenced inversely to its distance to each sample of the sparse dataset. 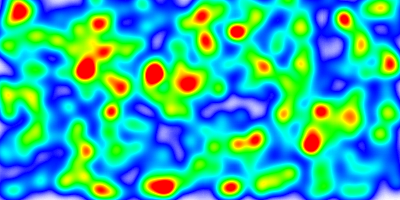 Heatmaps are usually represented with a color-ramp where the hue encodes the density of the data sample, optionally along with the intensity of an attribute. The “heatmap” term itself is used with varying meanings. 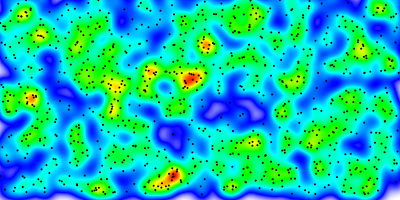 We will be using it to reference Kernel Density Estimation maps. CONNECTION “layername” : reference to the NAME or GROUP of a LAYER to use as an input vector datasource. NAME takes precedence, followed by the first layer from GROUP who’s minscaledenom/maxscaledenom matches the current map scale. The referenced layer should be a TYPE POINT layer. Other layer types will result in one sample being added for each vertex of the input features. PROCESSING “KERNELDENSITY_COMPUTE_BORDERS=ON|OFF” : A kernel of radius “r” cannot be applied to “r” pixels along the borders of the image. 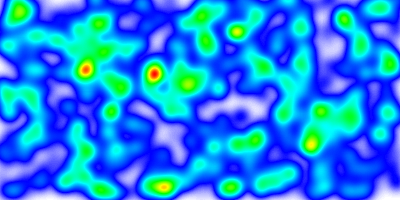 The default is to extend the search rectangle of the input datasource to include features “r” pixels outside of the current map extent so that the computed heatmap extends to the full extent of the resulting image. This can be deactivated when tiling if the tiling software applies a metabuffer of “r” pixels to its requests, to avoid the performance overhead of computing this extra information. PROCESSING “KERNELDENSITY_NORMALIZATION=AUTO|numeric” : If set to “AUTO”, the created raster band will be scaled such that its intensities range from 0 to 255, in order to fully span the configured color ramp. 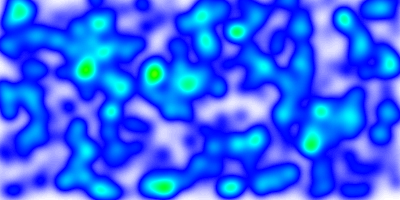 Such behavior may not be desirable (typically for tiling) as the resulting intensity of a pixel at a given location will vary depending on the extent of the current map request. If set to a numeric value, the samples will be multiplied by the given value. It is up to the user to determine which scaling value to use to make the resulting pixels span the full 0-255 range; determining that value is mostly a process of trial and error. Pixels that fall outside the 0-255 range will be clipped to 0 or 255.